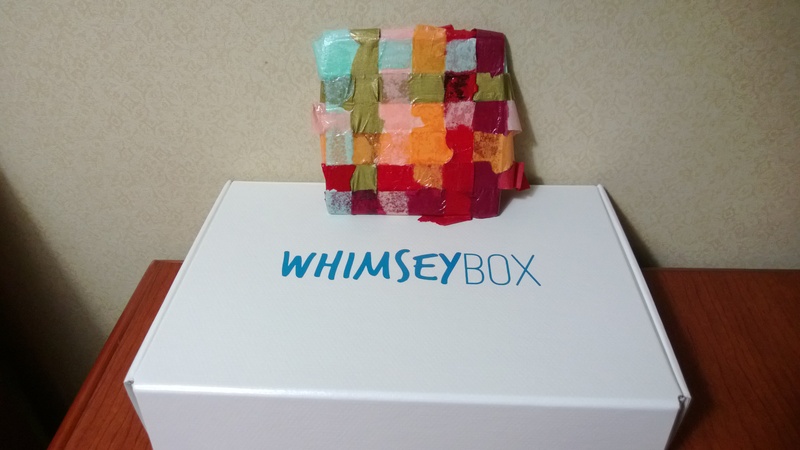 Preview: Whimseybox (November) edition | Random moosages as I see fit. What happened to the muffins? Well…things happened and I wasn’t able to bake this past week. Should be good for next week though. In the meantime, here’s a look at what I’m working on right now. It’s the Whimseybox project from November of last year, DIY coasters. There are materials for two in the box. This one is my incomplete first attempt. I was testing out an idea. I’ll have to make changes before completing the second one.